Sprayed polyurethane foam and liquid air barrier systems are a critical part of today's building designs. This component of the design affects all aspects of the building envelope and requires formal training and experience, along with methodical planning and forethought. 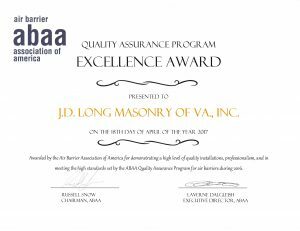 To complement our “Full Service” masonry contractor commitment, we self perform the work associated with air barrier systems within our contracted scope of work, utilizing employees formally trained by the manufacturers we install. 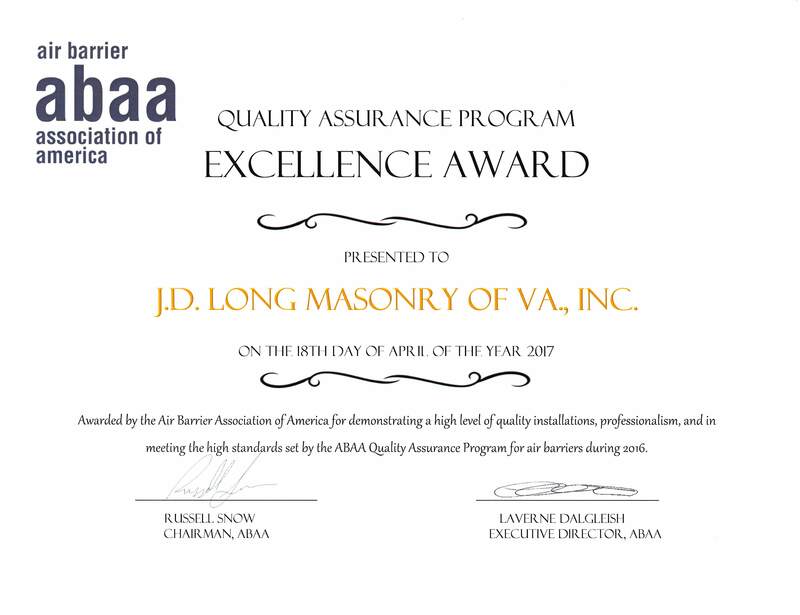 In addition, our air barrier applicators and much of the supervision for our masonry operations are certified by the Air Barrier Association of America (ABAA).